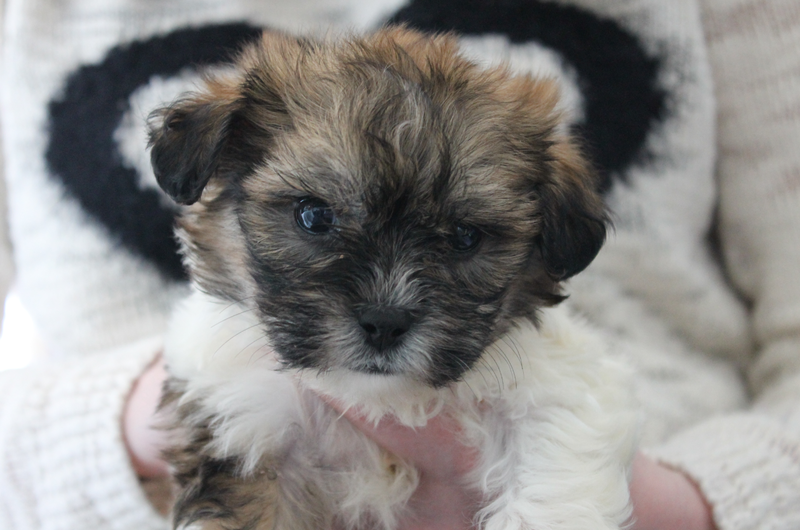 When my husband and I decided to get a puppy we did our research and felt we were prepared, but when we brought home our 8 week-old puppy, Archie, I found myself completely overwhelmed. Getting a puppy made me even more anxious than usual. I felt like I was a terrible person for not being able to enjoy Archie during those early days, and for having thoughts of giving him up. I worried whether we were doing things the right way – whether Archie was happy with us – I felt like I couldn’t cope. To outsiders everything looked rosy. Here was this gorgeous little puppy, who charmed everyone he met. Why was I feeling so negative? Quite simply, I had a bad case of what we’ll call ‘the puppy blues’. I worked part-time, whilst my husband worked full-time, so I spent more time with Archie. I used to dread the days when I wasn’t working – a whole eight hours or more on my own with Archie. Here was a tiny scrap of a thing who was entirely dependent upon me (I felt sorry for him having to put up with me!). He didn’t seem to sleep all that much and needed to be watched constantly. I didn’t feel like I could talk to anyone else apart from Simon about it, but of course, he was going through it too albeit for different reasons. Thankfully we each had our down moments at different times, so were able to comfort each other. When I tried to talk about it to other people, I quickly learnt to change the subject or to make a joke of it because I realised they just didn’t understand. They only wanted to hear about the nice things. I emailed Anxiety UK’s Infoline, and I found receiving a sympathetic response helped. Searching online, I found other people who’d had the same feelings, who’d gone through the exact same thing. It was comforting to know I wasn’t alone, and it made me feel better reading other people’s stories. All the advice said to get through the first few months and that things would improve. I clung on to that thought. Having some one-to-one sessions with a puppy trainer turned out to be a great idea. The trainer came to our home and I was reassured that we were doing a good job with Archie. She also gave us some helpful tips and advice. Then there was the guy we met in Pets at Home. I don’t know his name, and I never saw him again, but he stopped to give Archie a fuss and we ended up chatting for a while. He too was a puppy parent, but he was further along the path than we were. He told us he’d hated having a puppy during the early days, but that over time things had improved greatly, and his dog had become a much loved member of his family. I left the store that day feeling hopeful. As time passed I found I was coping. I smile now as I remember having a meltdown over Archie’s dirty bottom on the first day I was left on my own with him. It wasn’t so much dealing with the mess, just handling a squirming puppy who clearly didn’t want a bath (and could you blame him?). Nowadays I don’t think anything of giving Archie a wash; I just scoop him up and put him in the shower – job done. Although getting a puppy made me more anxious, there was a flip side too. Archie helped me with the intermittent anxiety I felt over my job at the time. If I was worried about a meeting, for example, spending time with Archie made me realise the importance of being present. Watching Archie romp round in the grass took my mind off my work worries, and if I was having a stressful day at work it helped to think about playing with Archie when I got home. Cuddles helped, as did taking Archie out for a walk or two every day – a great opportunity to practice mindfulness. Archie is now two and he’s a delight. I can’t imagine life without him. I wish now I’d relaxed more with him when he was a pup – I was too anxious though. I sometimes think it would be nice for him to have a playmate. I don’t know whether I will get another puppy in the future, but I know that if I do I’ll be more confident the second time round because I’ll know what to expect. 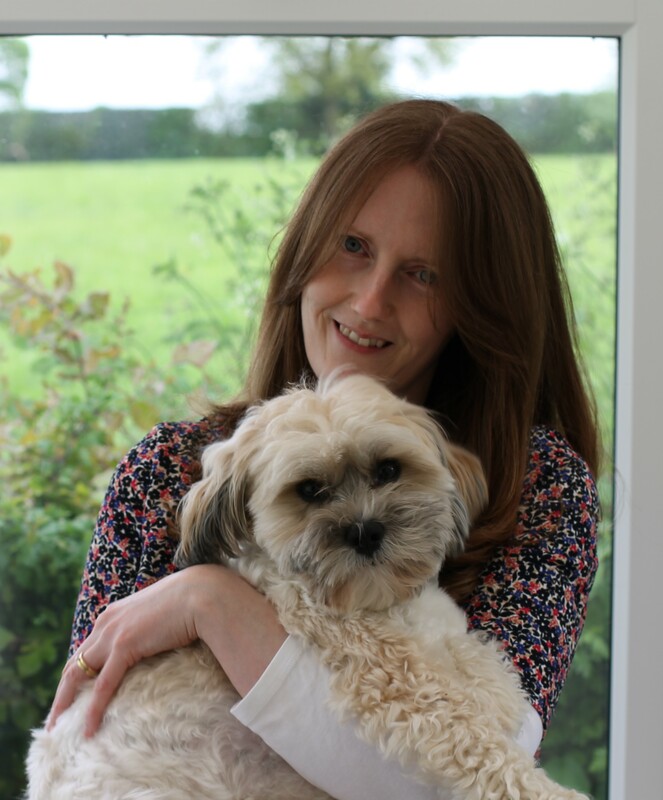 Welsh born Helen Edwards is a freelance writer, and after a decade or more of living down south, she currently lives in Shropshire with her husband, Simon, and her Zuchon dog, Archie.